Dan Volchok has over 30 years of higher education experience initially in student affairs and expanding into online learning and academic affairs. He joined Stevens Strategy as a Senior Consultant in 2016. He is currently a Lecturer in the Northeastern School of Education, teaching Law and Policy courses in the M.Ed. and Ed.D. programs. His professional roles have included Vice President and Dean of Students at Endicott College, Director of Academic Programs for Northeastern University’s D-Amore-McKim School of Business and Assistant Dean of Graduate Student Life and Global Connections at Northeastern. 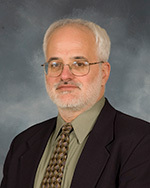 He previously worked at WebCT, consulting with faculty across the globe on their use of the online teaching platform. He published a book chapter on the utilization of the WebCT’s Exemplary Course Project to improve student outcomes and papers on the use of technology in higher education. He served on the regional advisory board for NASPA: Student Affairs Professionals in Higher Education and has presented at a variety of regional and national conferences. He is an elected representative to the Masconomet Regional District School Committee. He received a B.B.A. and M.B.A. from Ohio University and an Ed.D. from Teachers College, Columbia University with a focus on Higher Education Administration.